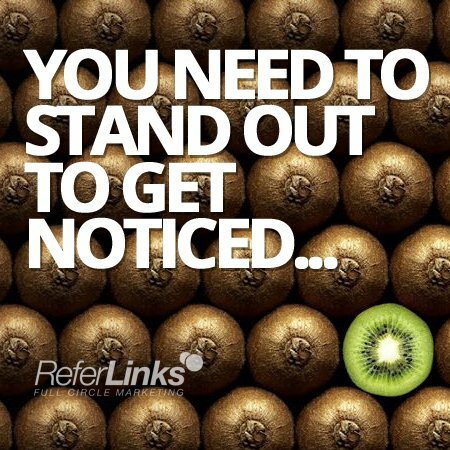 You need to stand out to get noticed! This entry was posted in Uncategorized and tagged on March 31, 2014 by ReferLinks Online Marketing. This entry was posted in Social Media and tagged on March 25, 2014 by ReferLinks Online Marketing. This entry was posted in SEO and tagged on March 18, 2014 by ReferLinks Online Marketing. This entry was posted in Blogging and tagged on March 11, 2014 by ReferLinks Online Marketing. This entry was posted in Customer Concerns, Social Media and tagged customer concerns,customer experience,Customer Relations,Managing Customer Complaints on Your Social Media Platforms,response to customer concerns,Social Media,Social Media Marketing on March 4, 2014 by ReferLinks Online Marketing.